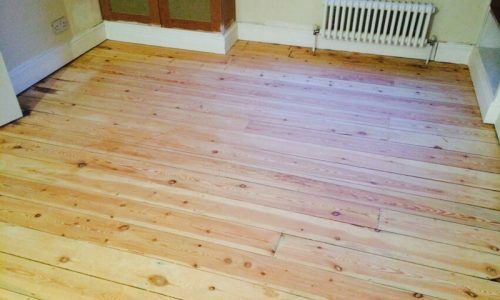 Are you on the lookout for an experienced flooring contractor which specialises in offering professional floor sanding in Clapham? Look no further than PJ Pine & Son. We are an established business with a proven record of offering high-quality floor sanding services as well as affordable floor restoration services. Be it a big or a small project, we have the expertise to offer one-of-a-kind floor sanding and restoration services to both homes and offices. Ever since the establishment of our company, we have been offering superior quality floor sanding and restoration services to our customers at affordable rates. We are widely appreciated for our proficiency in restoring the original condition of hardwood floors. No matter whether you are seeking an intricate flooring pattern or natural wood floors, we are experts who can fully customise floors to suit your preferences. With us by your side, be assured of bespoke wood flooring. Whether you wish to boost the interiors of your home or want more stylish office space, we are experts who can return any wooden flooring to an almost brand new finish. Our extensive knowledge gives us the expertise to sand and restore any type of hardwood flooring for achieving your desired look. 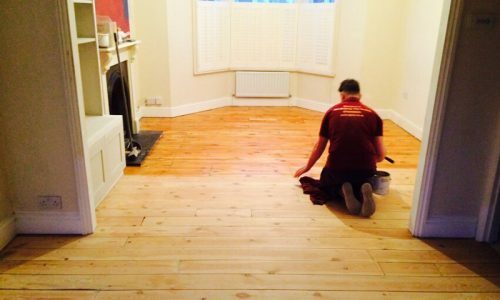 What makes us the top choice for people throughout Clapham is that we use the best sanding and restoration techniques to bring new life into a room. At PJ Pine & Son, we take immense pride in our dedicated team of floor sanding specialists. Each of our specialists has a wealth of experience in providing floor sanding in Clapham to the highest standard. Our experts are fully committed to ensuring that your floors radiate the warmth which only a professionally sanded flooring can create. By utilising advanced flooring restoration techniques and modern floor sanding equipment, our experts can refinish your floors in the most efficient way. Our experts are passionate about restoring wooden flooring and working round the clock to achieve the vision of our customers. Be it restoring the hardwood floors of a small home or sanding the floors of a large commercial space, we have the creativity and skills to deliver exceptional results. Each of our machines is maintained regularly to keep dust to a minimum. Our extensive portfolio of successfully completed projects is a testament to the kind of flooring services our specialists provide. 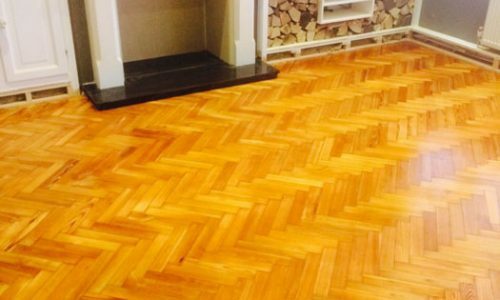 Why Choose Us For Floor Sanding?